I’ll admit, I’m not normally one for over-the-top Halloween costumes. But I do like a little bit of something that acknowledges the season without screaming about it. 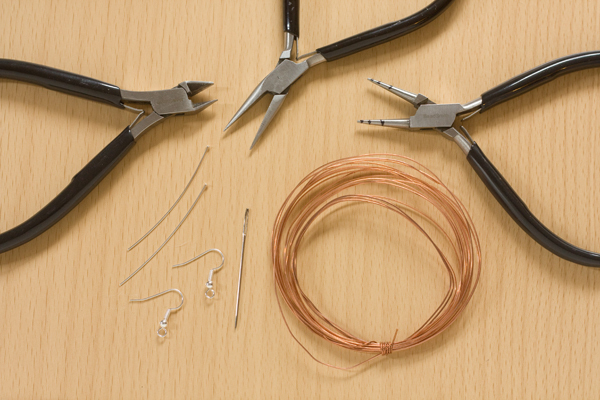 These Barbed Wire Earrings are a quick DIY that uses basic jewellery making skills. 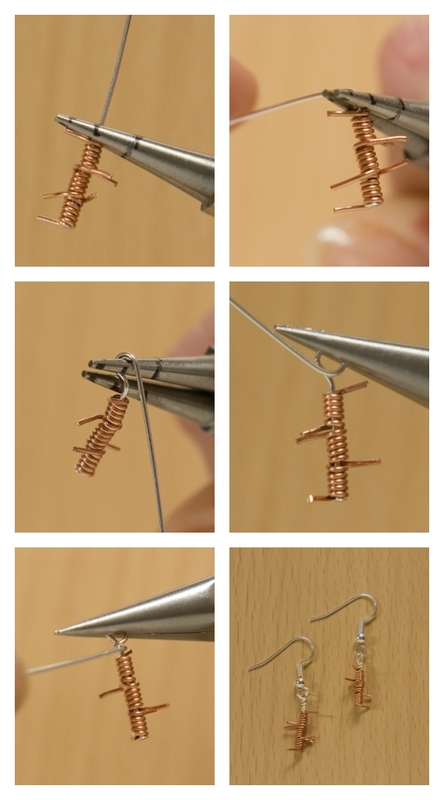 1.Cut a 10cm length of wire, and holding the short end, begin tightly coiling around the needle (You could also use a piece of 1.2mm wire). 2. Continue until there are 5 complete coils around the needle. Try to get the ends to be on opposite sides of the needle. 3. 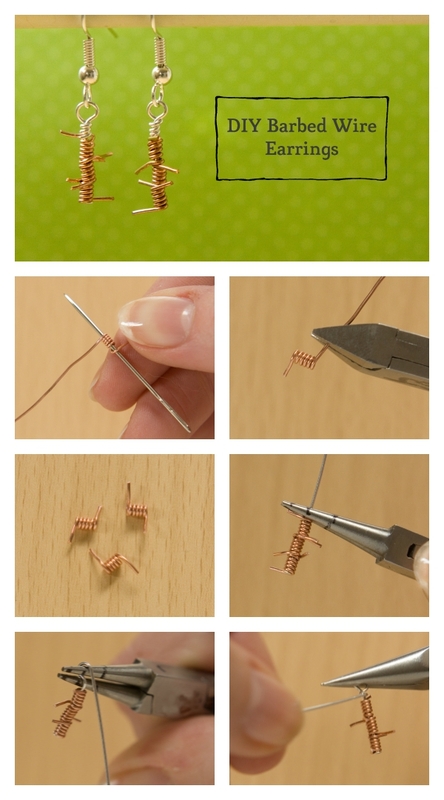 If the coils aren’t sitting next to one another, use the chain nose pliers to gently squeeze them together. 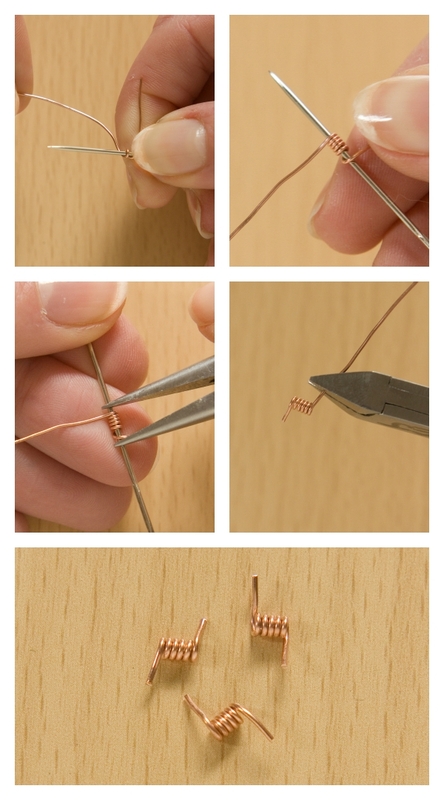 4.Remove the coil from the needle and trim the ends to about 5mm long. 5. Repeat steps 1-4 until you have 3 in total. 7. Take your round nose pliers and grip the headpin. 8. Bend the wire a right angle bend away from yourself. 9.Adjust your pliers so the jaws are on top of one another and bring the wire over the top of the pliers towards you. 10.Adjust your pliers so the jaw wit the wire in on the bottom and continue to bend the wire down and away from you until you have made a complete loop. Change to chain nose pliers. 11. Gripping the loop tightly with your chain nose pliers, wrap the tail of the headpin wire around the stem, until it meets the barbed wire coils. 12. Twist open the loop on one of your fishhook earrings and hook the barbed wire section on. Do the same for the other earring! I only chose copper because I thought it would show up well on the photographs, but I actually really like the mixed metal effect! You could even use coloured wire for a cool look. I would love to see photos if you make a pair of these earrings, so let me know by commenting below or on Twitter, Instagram or Facebook! Happy Making!